At the IRS, innovations include IRS2Go - a mobile app with 8.5 million users - that lets you check the status of your refund 24 hours after submitting it. 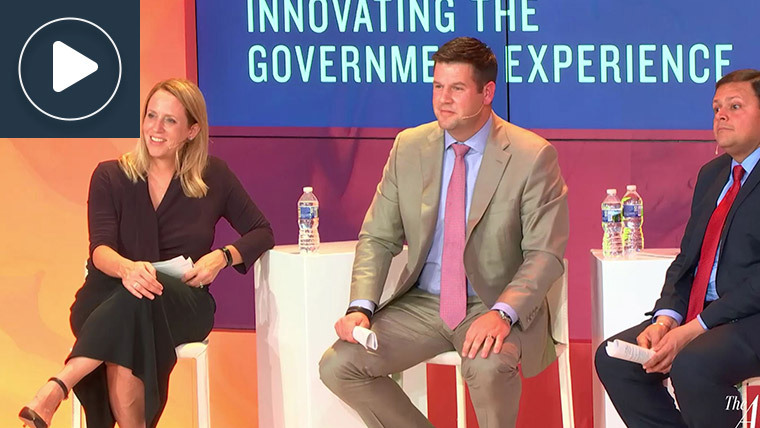 Instead of mandating, “This is how we’re going to do things and the taxpayer needs to respond,” Smith described how the IRS is designing applications and features for what users want to do and how they want to do it. He also described that today’s environment is one where the customer expectations will continually evolve. As a result, it is imperative that the government understand how those expectations are changing, through direct engagement with the customer, and be agile in responding. “The expectations move and you have to be able to move at the same time,” Smith said. The government’s procurement practices should function as a gateway that allows innovation to flourish. However, Smith acknowledged the complexity and specificity or ‘guard rails’ in many of today’s requests for proposal run the risk of stifling innovation and creativity and do little to advance IT Modernization and Digital Experience goals. He went on to describe this scenario – If the government can’t buy in a way that enables different types of companies to bid and propose new ideas and solutions, we run the risk of “getting the same answers, from the same types of firms, at the same prices - and we can no longer afford to function that way”. Alternatively, both Smith and Ahluwalia suggest the government should be clear on what the goals of the procurement are, but they also recommend opening the aperture on how those goals can be met to allow the bidders to propose new ideas and innovation in the solution.